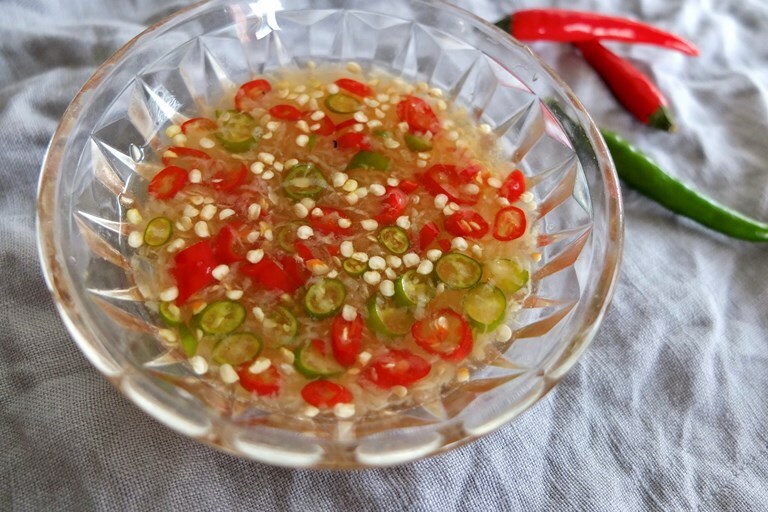 This Thai chilli sauce recipe is more of a dip than anything else, which can be knocked up in a matter of minutes. A perfect balance of heat, sweetness, tang and salt, it's an ideal accompaniment to all sorts of Thai dishes. Take a look at all of Helen's hot sauce recipes here. Nam pla prik is an essential dipping sauce in Thai cuisine and it demonstrates how Thai food is all about the balance of sour, salty, sweet and spicy. The amount of chilli is easily changed here, and it’s important to play around with the balance of other seasonings too, to find out how you like it. These are guidelines then, since ingredients vary and so do tastebuds! This recipe makes enough dipping sauce for one meal.